With the first-ever Cadillac XTS now taking over the duties of the late DTS sedan, it has some very important shoes to fill. So, the brand wasted no time in preparing a line of professional vehicles that will fill the space the DTS once occupied. They are the XTS livery, limousine and funeral coach variants. 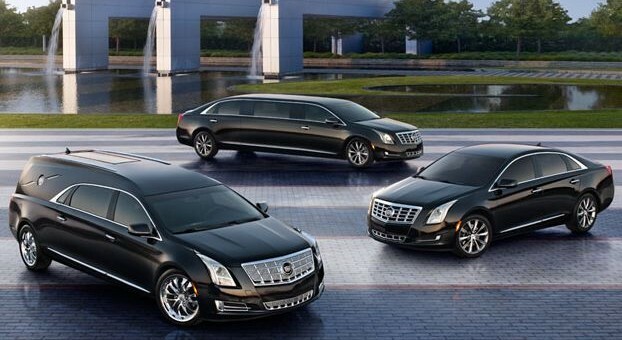 The XTS Livery Sedan is the only vehicle produced in-house among the three, and looks to occupy the “black car” segment — slightly stretched, private transports that can be found chauffeuring movers and shakers to and from the airport. This Platinum-esque XTS features the necessary heated rear seats, side and rear window shades and a tri-zone climate control unit. These features can also be found on the XTS Platinum we’ve come to know, but the livery adds an air-leveling rear suspension for that extra plush feel to its repertoire. To note, the powertrain remains the same as the standard model. The limousine and hearse (or funeral coach, if you prefer) variants are more heavily-tailored, and are actually built by designated third parties that Cadillac authorizes. The specifics don’t get much more detailed than that at the moment, unfortunately. Not even pricing numbers for professional companies to begin crunching over have been announced. So we’re left waiting for more details as they surface, while we stare at what has to be the sexiest death chariot we’ve ever seen. There won’t ever be a RWD version of the XTS. If you are referring to the flagship, that car will not be used in Limo services. The XTS will remain a model, with its main purpose being livery. I agree…that coach looks stunning. As a side note, my grandmother made her final journey in a Cadillac DTS, so it really does have great shoes to fill. I wonder if the additional weight of the equipment will warrant the twin turbo engine? I wonder which model I will “ride” in first??? I want to get information about the price of your new funeral car XTS. And the opportunity to take it home to Sweden.